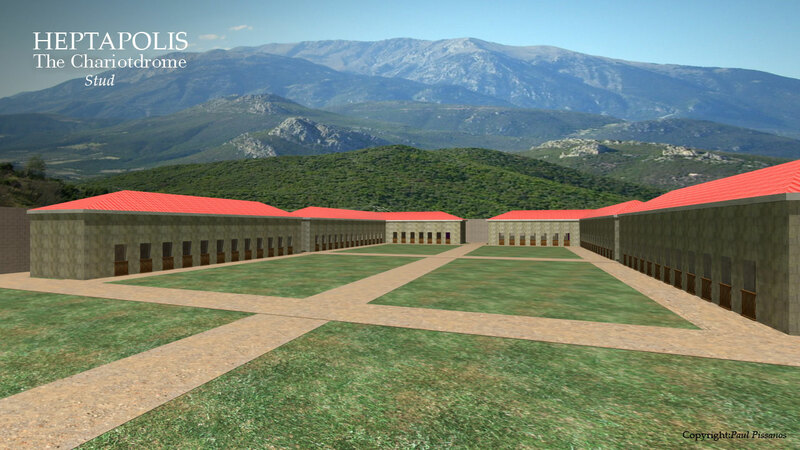 Near the HEPTAPOLIS, in a selected area of natural slopes, between two hills, we plan to build the Chariotdrome. 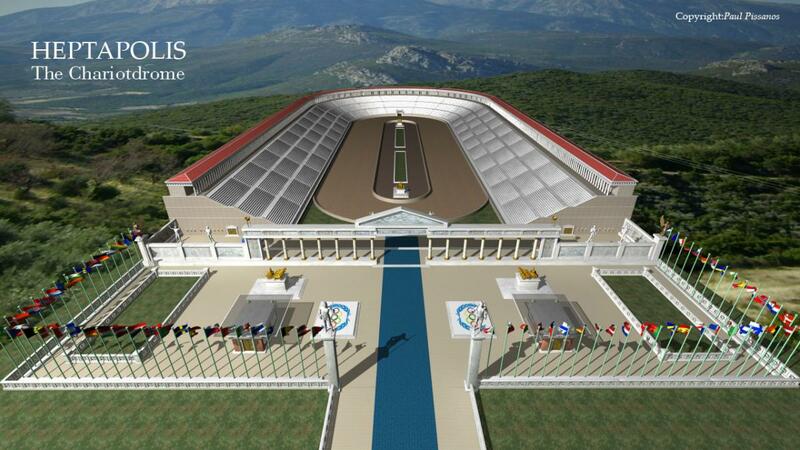 The company HEPTAPOLIS-CHARIOTDROME will design and construct a chariot-race stadium, which will be located by the Southwest Gate of HEPTAPOLIS, in an area that has already been located and belongs to the municipality of Sterion. 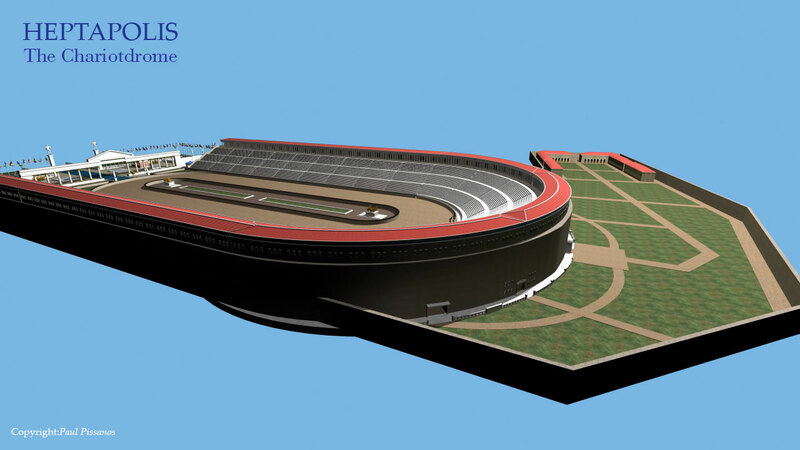 The Chariotdrome will be horseshoe-shaped with marble stands. The stairs around the track as well as the Great Gate, in the front, the triumphal columns, kiosks, statues, and the stoas with the Olympic offerings and the flagpoles of the states of the world will also be made of marble. The capacity of the stadium will be 50,000 seated spectators. There will also be reserved places and official seats. The chariots will enter the Chariotdrome through a special portico which will connect the track with the Southeast rear side of the Chariotdrome. 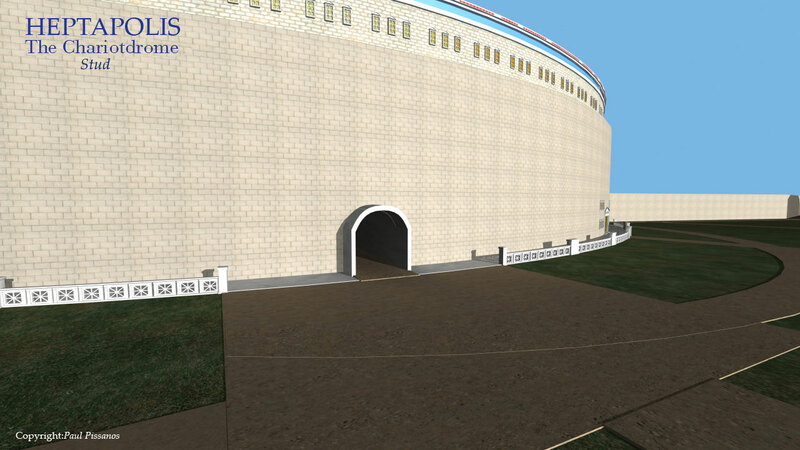 The stud farm, the construction and maintenance workshop, the workshop for the maintenance of the chariots and the training ground for the candidate charioteers will be housed in special facilities in the rear of the Chariotdrome. Special instructors and chariot-race professionals will train the candidates for the Games according to the classical standards and regulations. 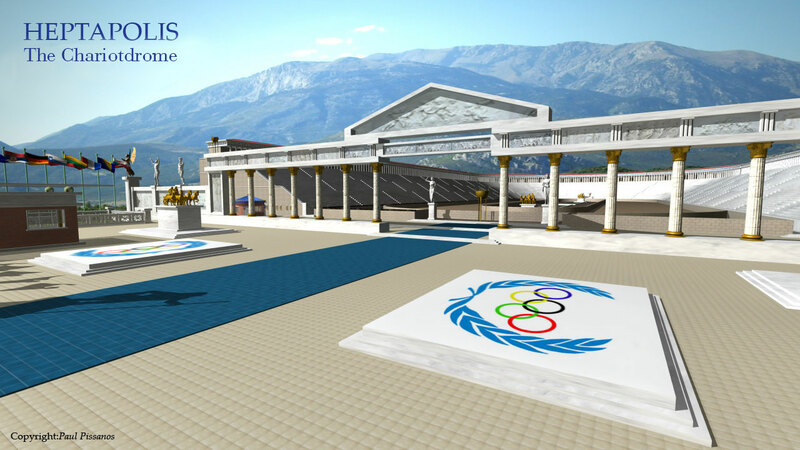 The staging of the Games will be a great public spectacle, not only within the chariot-race stadium, but also as a television show, which will be filmed live by a permanent film crew. Once a year an International Tournament will take place. 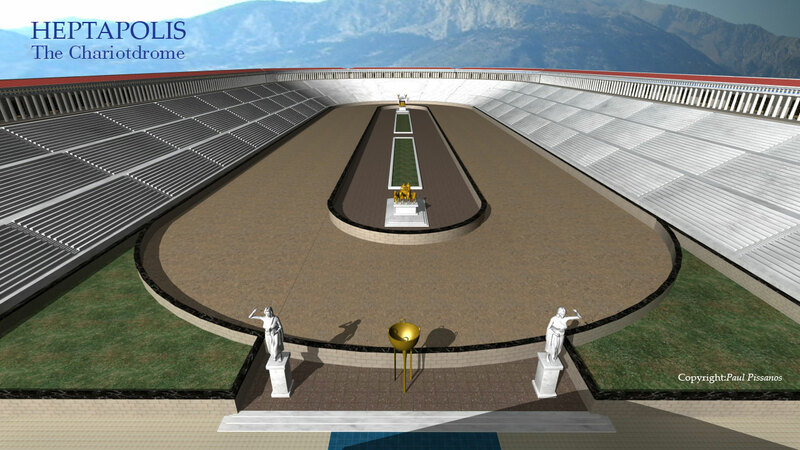 One of the main purposes of HEPTAPOLIS is the internationalization of the idea of chariot races, their inclusion in the official list of the Olympic sports and, finally, the participation of the sport in the Olympic Games so that the athletic ideal of the classical Olympic Games at Olympia revives.